I recently broke down and picked up a Bluetooth headset. I needed something to talk on while driving a stick-shift or working with both my hands. I wanted to get something awesome because, honestly, it's go big or go home when it comes to Bluetooth headsets, and you get what you pay for. I paid for a Jawbone ERA, and I got the best Bluetooth experience I've ever had (and I've had every iteration of the Jawbone at one time or another). I shot a quick video to show you all the features, but I couldn't show you everything using my camera, so there will be screenshots and explanations after that. 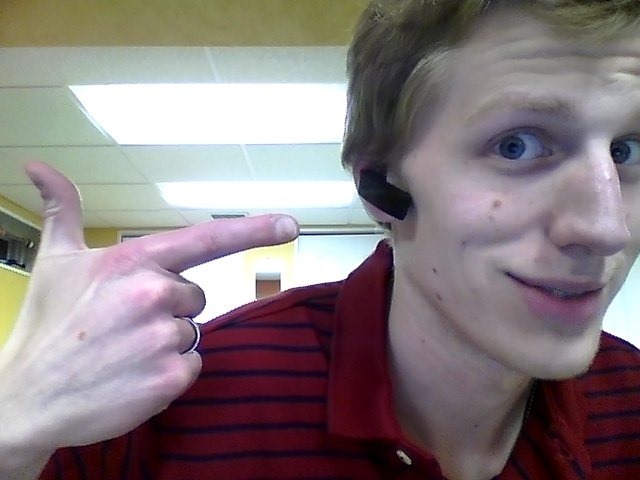 Stick around, grab a snack, and envy my elite Bluetooth device, won't you? Now, as I stated in the video, there is a whole new dimension of interaction with this headset. Aside from all the insane new features built into it, like the accelerometer, NoiseAssassin 3.0, and the "apps" you can load onto it, the way you adjust settings and update the firmware is pretty revolutionary as well. Let's talk for a minute about Mytalk.Jawbone.com. The "AUDIOAPP" is the voice your Jawbone is currently talking to you with, the "DIALAPP" is how you have configured the Jawbone's button, and the other two deserve more than a one-line description. Here are the contacts settings. These are phone numbers and names (up to 20) that are stored on the headset itself. Let me explain why this is awesome: No matter what phone you have this thing connected to, it will tell you the name if one of these contacts calls you whether or not that contact is stored on the phone you're using. The headset has its own phonebook. HOLY CRAP. Here is the advanced settings panel. It's fairly self-explanatory, but I'll give you a quick rundown of the awesomeness happening here, as well: You can change what your ERA's name displays when searching for it while pairing it with a phone, alleviating that "Is my headset the QVY67554477 or the MOTO727JSTEVEN112yQ? Or maybe the AP19500PEDROCOMICSANSMS" confusion. 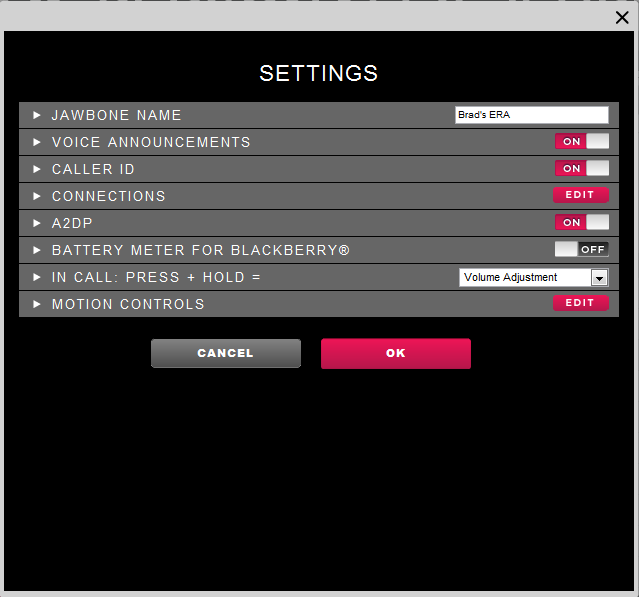 You can also toggle the caller ID and voice announcements, should that feature not strike you as crazy cool. In addition to that, this is also where you could turn off A2DP, should you be into making bad decisions. You can turn off the accelerometer functions, adjust whether the press+hold of the button changes the volume or toggles NoiseAssassin, and turn on and off the accelerometer functions, again, if removing features is your thing. The one that stands out for Android users would probably be Vlingo. I have to say, being a Vlingo user myself, it, in conjunction with the ERA, is the single greatest hands-free experience I've ever had on a phone. Seriously. I won't turn this into a Vlingo review but, suffice it to say, it should be the first thing you install after pairing your phone with the ERA. Overall, this headset is, in my opinion, the gold standard for any peripheral I will ever buy for a phone. For $129.99, it really can't be beaten, even by more expensive headsets. Having owned Jawbone headsets in the past, I was still completely blown away by this thing. The audio quality is great both on phone calls and streaming music and media to it. The battery life is also a big plus. I've been listening to music 100% of the time during all my shifts at work since I got it and still only have to charge it once every couple of days. Here's the moral of the story. If you like Bluetooth headsets and have the money, buy the ERA. 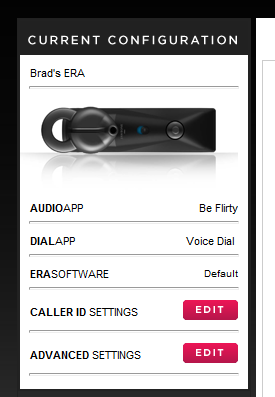 If you like Bluetooth headsets and don't have the money, take out a loan and buy the ERA. If you're not sure whether or not it's the right headset for you, buy the ERA. Easy and simple. 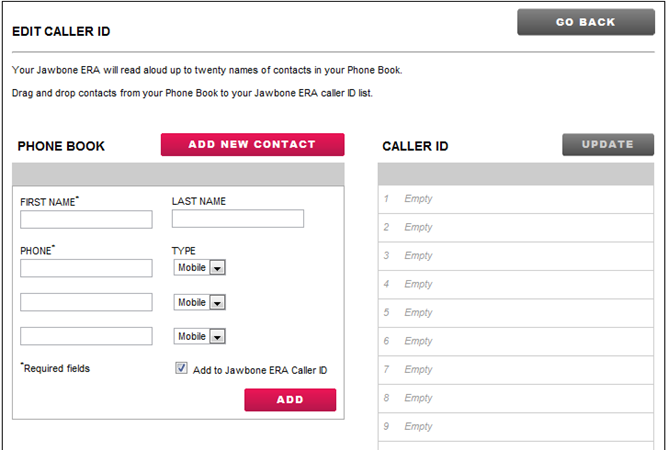 It does everything, and the firmware will be upgraded through mytalk.Jawbone.Com to increase efficiency and presumably add features in the future. It's the first time I've ever been excited about a headset. You can buy it at any number of local stores, or from Amazon. You can grab Vlingo, which I also enjoy excessively, from the Android Market or Appbrain. Best Buy Launches The XOOM Product Page - Price Jumps To $1,199.99, But It Costs Best Buy Just $550?